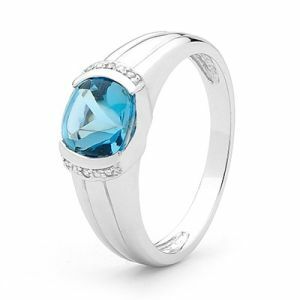 Blue Topaz and Diamond Dress Ring. Stunning and elegant cushion cut Blue Topaz with buffed top set in solid 9 carat white gold with sparkling Diamonds. Gemstone: 1 x Blue topaz buff top 7x7mm. 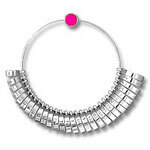 Material: 2.8 x Grams solid 9ct white gold.